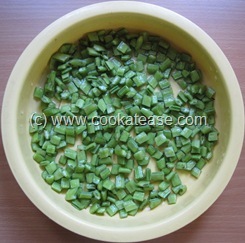 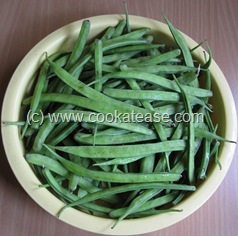 Cluster beans is long, thin, green and is easily available during the season. 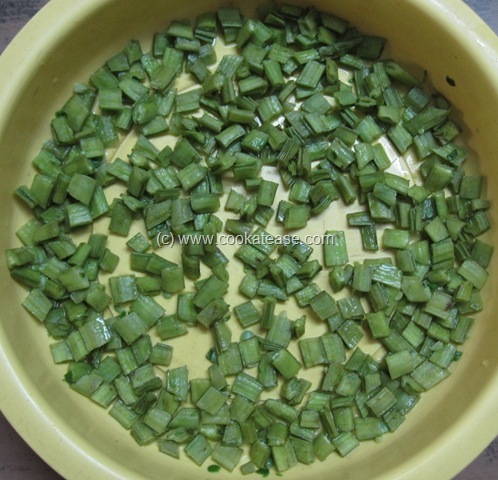 Most of us hesitate to cook this vegetable, as it takes considerable time to chop this vegetable. 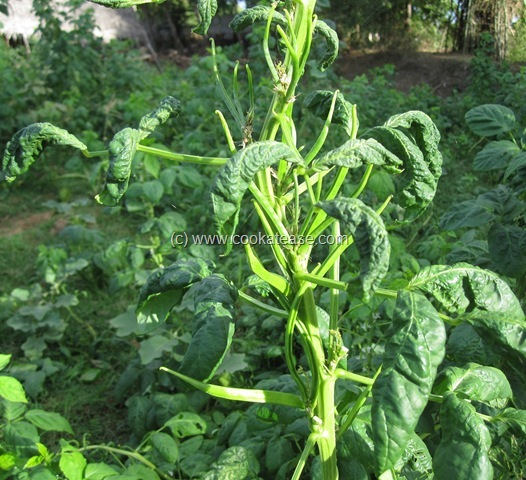 Tender cluster beans tastes different if it is cooked with corn flour. 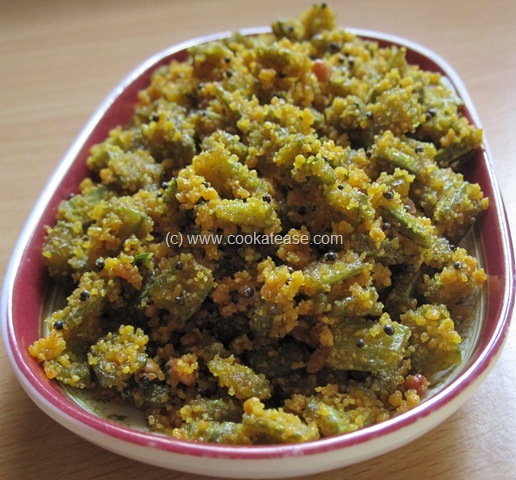 It looks and tastes like usili, a south Indian dish. 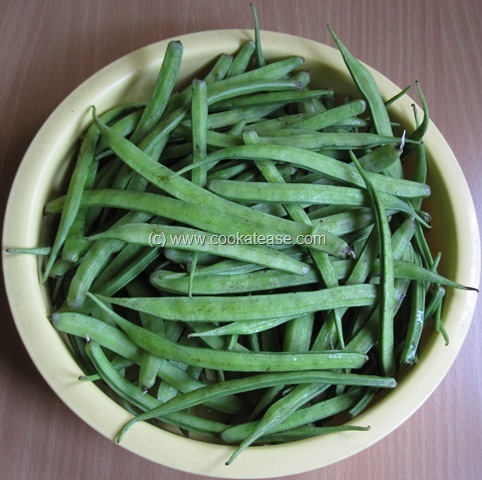 Cluster beans is known as Kothavarangai/ Kothavarakkai (கொத்தவரங்காய்/ கொத்தவரக்காய்) in Tamil and is known as gawaar in Hindi. 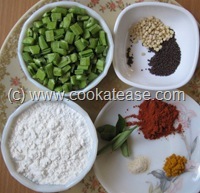 Here is Cluster Beans (Kothavarangai) and Corn Flour Usili. 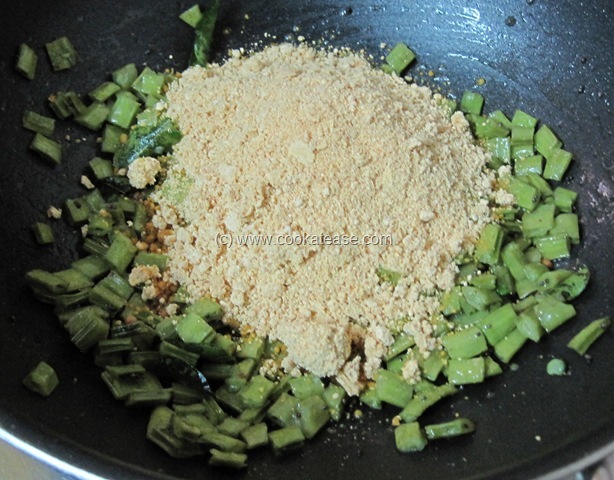 I read this recipe long ago in a magazine. 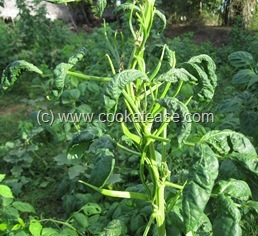 Cluster beans and the plant is shown below. 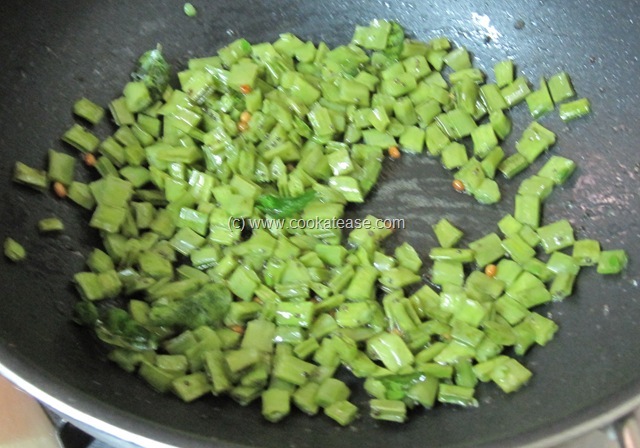 Boil cluster beans with little salt till soft; you can do it in a steamer or in a microwave oven (I used microwave oven). 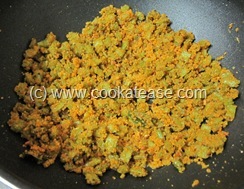 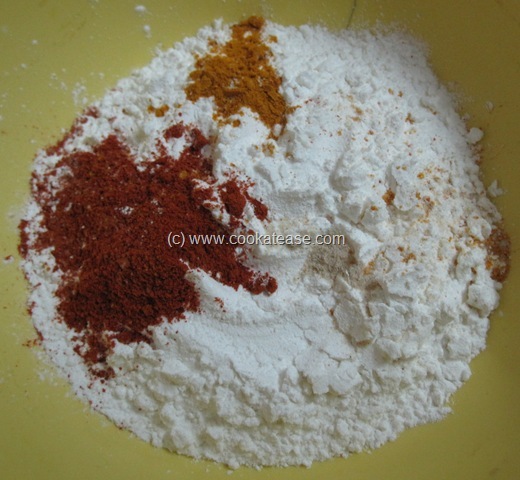 In the corn flour add salt, turmeric powder, red chilli powder, asafetida powder and mix well; sprinkle little water and mix; if you hold the flour in your fist tightly, it should form into a solid shape; if you split it, it should disintegrate like bread crumbs; steam cook this for 8 to 10 minutes. 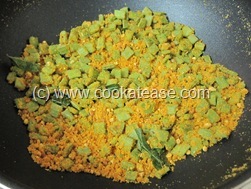 Heat a pan with oil; add mustard, urad dal, curry leaves and fry for few seconds; add precooked beans, steamed flour. Mix well and cook for 8 to 10 minutes in moderate heat; stir in between, sprinkle little water if required; cook till it turns golden in colour. 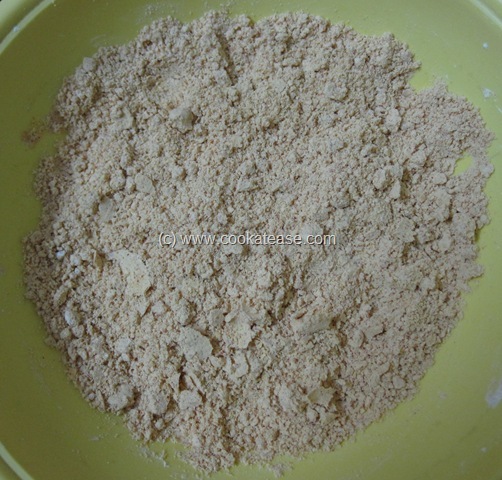 Now Cluster Beans (Kothavarangai) and Corn Flour Usili is ready. 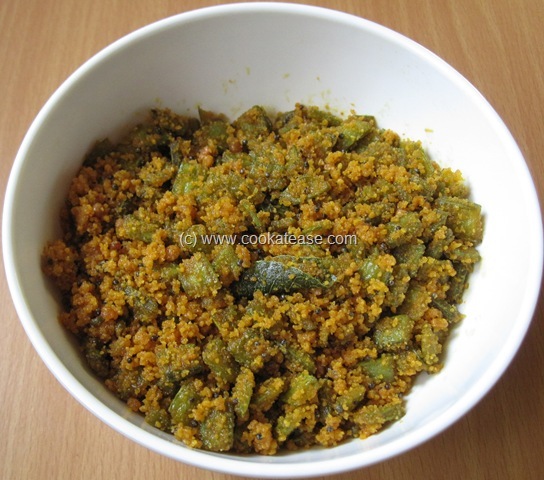 Serve hot with steamed rice and rasam or as a snack. 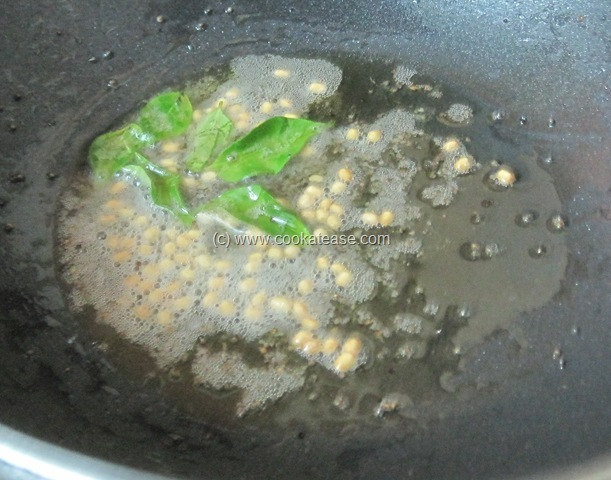 Use non stick pan to reduce oil consumption. 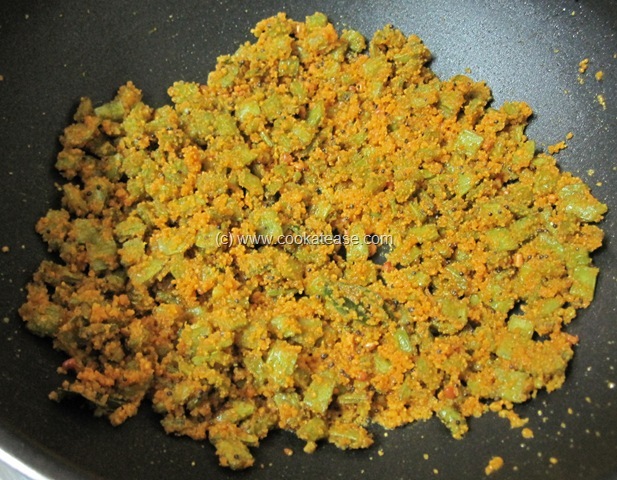 If you want usili to be more crisp, fry it for few more minutes. 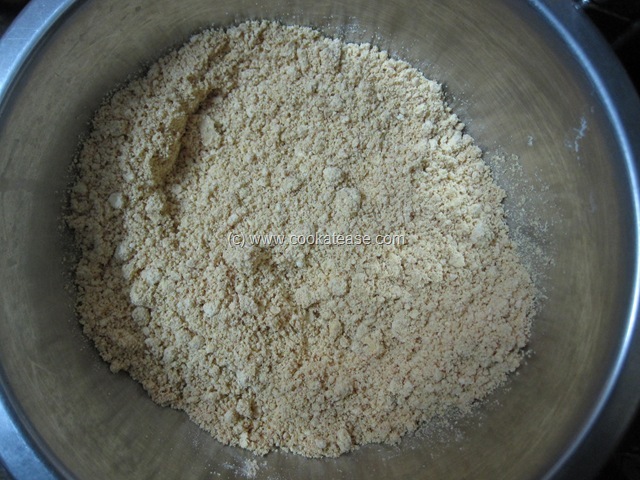 Cornflour in usili sounds truly very unique and interesting..